You can see the piles of fabric in the reflection of the computer. "I'm not messy, I'm creative!" 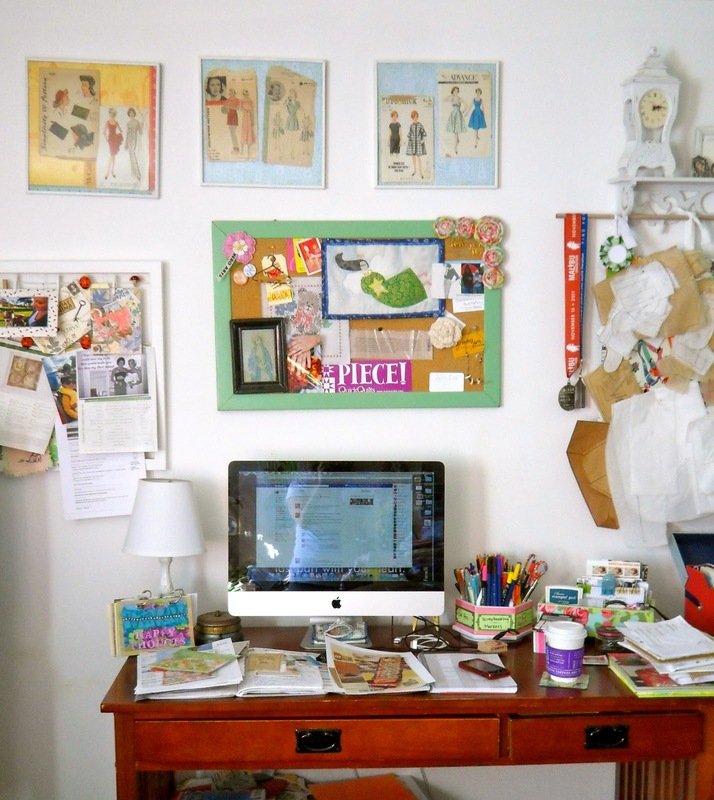 I sometimes get discouraged when looking on Pinterest seeing those photos of other's craft rooms and they are so clean and organized. I did clean up for these photos. My craft room will never look like that...actually that is why I have a room. Because my husband didn't want to see the mess in the dining room anymore. Sources of inspiration and smiles. I just love that pink and green. My goal is to at least be organized for 2012. 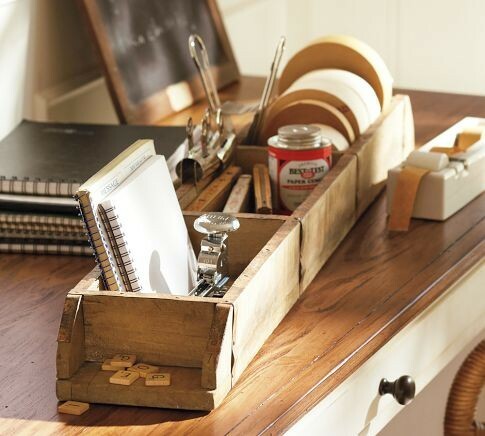 So after seeing this "Catch-All" desk organizer in the Pottery Barn catalog. This would be cute on my desk to "catch-all" my stuff. Started out with a box I scored at a flea market for $3.00. 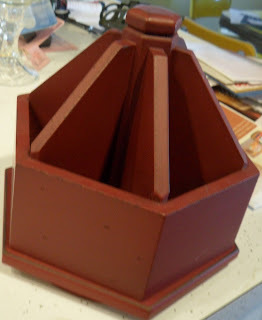 And this turning divider for $2.00. This divider turns on a base. I primed and painted each piece. The round divider was painted basic white and the box painted mint green. 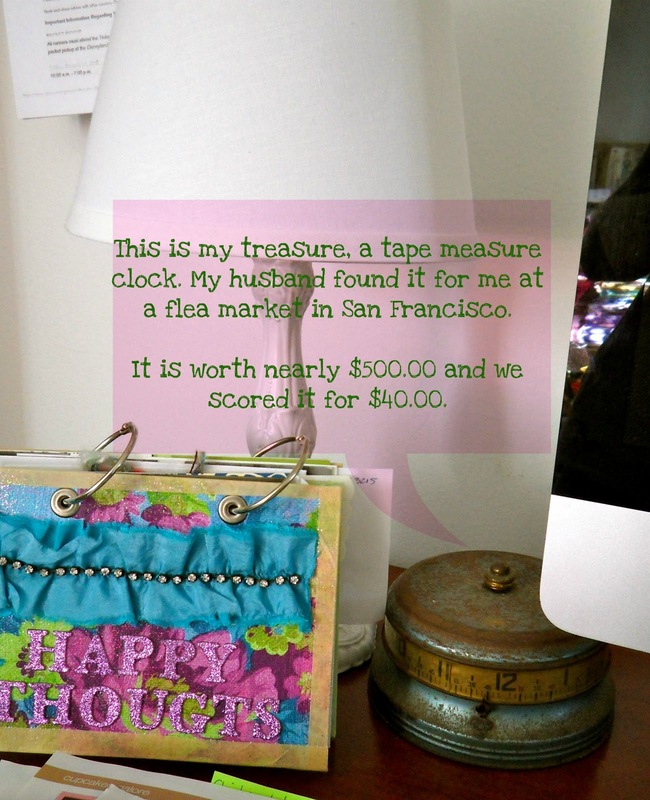 Then using Mod Podge Fabric adhesive, I used a scrap of Amy Butler's "Love" collection to decorate the box. Also added some white porcelain knobs to the ends of the box. 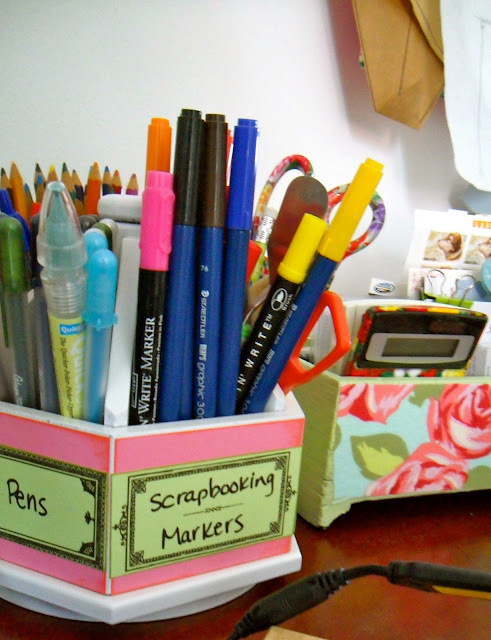 The round divider I used matching scrap booking paper to make labels to organize each section for pens, pencils, markers, gel pens, etc. The labels are from Cathe Holden at Just Something I Made. you can get them HERE. I just love pink and green. So far, this has really helped me out. I have been able to find things and been diligent on keeping the "Catch-all" organized. 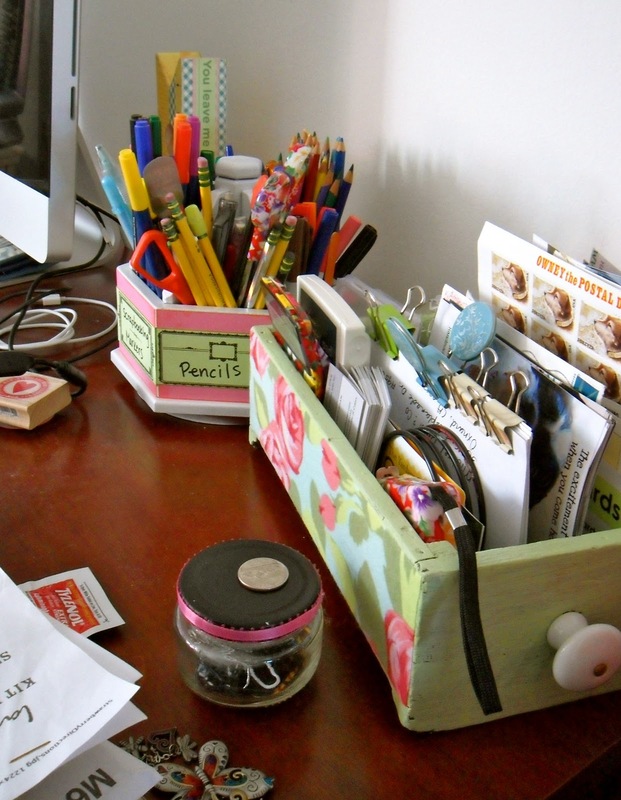 Hope this inspires you to make your own or maybe even compel you to organize your own things. I LOVE the turning divider! Wish I could find something like that for all of my pens! Thanks so much! It seems like I find things I don't need and then it turns out I needed it after all *Pen divider VOILA! I love your flea market scores! You've done such a great job jazzing them up.